Even if your website is extremely well-optimized for search engines and you’re getting quality traffic, you may still find that you aren’t converting visitors. In these cases, optimizing your website for conversion is the logical next step. Tweaking your fonts or headings, optimizing your images or forms, introducing more urgency to your messaging, or making good landing pages remain fundamental. Once you have these covered, you need to look for uncommon conversion rate optimization (CRO) tactics that will produce even better results. 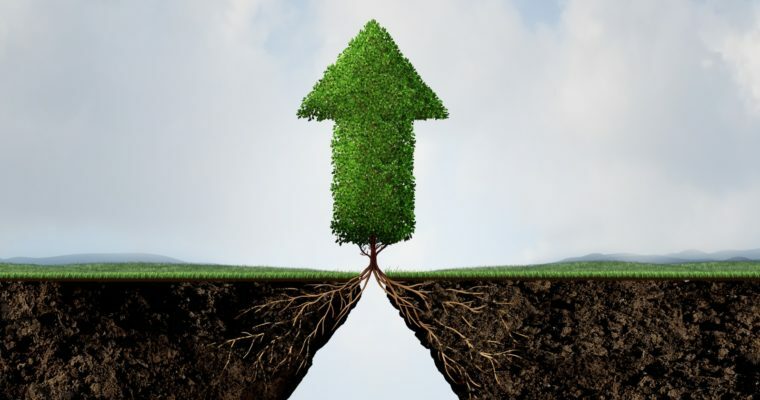 Here are seven tactics that can help bring your CRO game to the next level. Dynamic text replacement for your different ad groups: This involves ad and landing page copy that changes depending on the different personas you hope to attract. Users will see the same product but it will have a different heading or description based on the ad group they belong to. Match the design, tone, and feel of your ads and landing pages: Create a consistent experience between ads and landing pages by using the same images and color schemes. Overall match between your ad copy and landing page copy: A general match between the wording of your copies allows for greater consistency and flow between ad and landing page, including headers, subheaders, primary and secondary ad copy, CTAs, etc. Match keyword intent to copy: Different keywords express different forms of intent. Make sure to have copies to match the keywords that drive visitors to your landing page, for example, a copy for visitors that want more information vs. one for visitors who are ready to commit. Match CTAs: Not only your copy but your calls to action, as separate elements, should also be consistent with keyword intent for maximum effect. Different users require different CTAs. Match with email campaigns: A further step is to match your emails with your landing pages not only in terms of copy, keywords, and design but also in terms of the lists of subscribers you are sending these emails to. It’s never too soon to start personalizing your visitors’ experience. By segmenting your lists, as well as by collecting data on behavior (such as browsing or purchase history), you can begin to provide increasingly more personalized messages and offers to your audience. While you need to strike a balance and avoid becoming too intrusive with your personalized offers, personalization is good because it distinguishes you from others. Create engagement and drive conversions through customer micro-commitments. Micro-commitments are small steps you ask your visitors to take towards a conversion goal. Since they are ‘micro,’ they don’t really cost your visitors anything nor require them to deeply and seriously consider whether they want to commit. Through gradually building on micro-commitments, you establish familiarity with your brand, create engagement, and slowly move your leads toward a conversion goal. Social sharing micro-commitments: Ask your visitors to share your content, follow, or like your page in exchange for a free download. Buyer-identifying micro-commitments: Ask your visitors to commit to something that will identify them as potential buyers, and gather more information in the process. Free trial offer micro-commitments: Qualify and convert leads based on people’s tendency to honor commitments when they subscribe for something. Payment micro-commitments: Break down the price into smaller payments to make it more alluring and less threatening. Customer feedback micro-commitments: Ask your visitors to provide you with feedback through surveys. This puts them in the position to provide full feedback once they commit to it. You can then ask them for their email at the end of the survey to send them a report or results. Multivariate testing is a fantastic opportunity for websites that enjoy a high volume of traffic coming to their website. It refers to testing multiple combinations of elements on your landing pages and checking which combination has the greatest effect on your conversion goal. 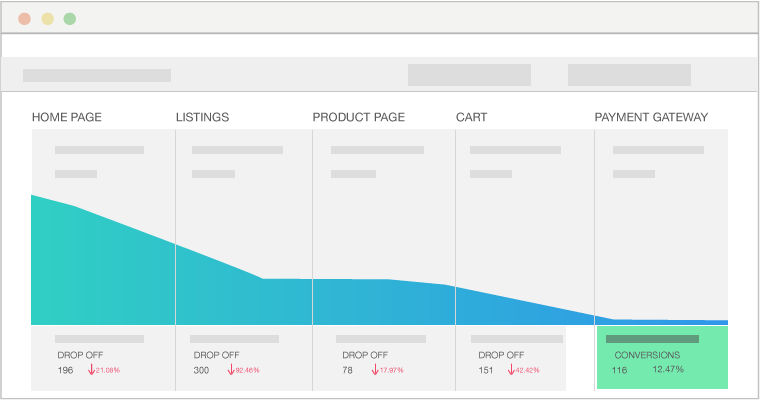 For example, you could test variations in the headers, images, fonts, copy, and CTAs on one of your landing pages. When you create all the various possibilities, the traffic coming to your page is split between them. You can then measure the effectiveness of the combinations in relation to the conversion goal. This way you can collect plenty of quantitative data, and make conclusions on the basis of measurements. But if you have less traffic coming in, then multivariate may be too costly and time-consuming. In this situation, you might want to stick with A/B testing possibilities instead or at least pick the elements you want to test with great scrutiny. Click map analysis: Click maps show you how users interact with clickable and non-clickable items on your website. You can easily see whether someone clicks your links through your analytics. What’s more interesting is to see which non-clickable items people attempt to click. If you find that people consistently click on a word or expression in your copy, or on a particular image, then you should consider linking it to a relevant page. You could also remove it if it is simply misleading to people. 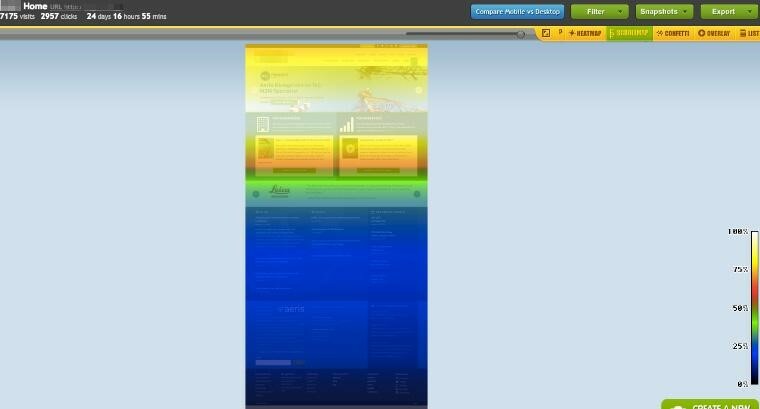 Mouse (or scroll) tracking: Scroll maps show you how far people scroll on your page, and where they drop off. Based on that info, you should adjust your design and copy accordingly, especially if you have a long page. Maybe you need to add visual cues that will help readers move along, or you need to check the quality and type of content at the point where readers tend to bounce. Unlike with heat, click, or scroll maps, you don’t need that many visitors with visitor recording. Also called user session replays, it shows you a recording of how people interact with your website. It helps you find where users get confused, where they scroll up or down in search of more information, what attracts their attention, and more. Going over recordings can provide further data for analysis which you can combine with the results from your click or scroll map analysis. Any type of feedback you can get from your visitors is worth a lot. The better you design your surveys or polls, the more information you will get out of them. When designing qualitative surveys, you can go for exit surveys, email surveys, or on-site surveys. Exit surveys pop up when visitors are about to leave your site, while on-site surveys show up on a particular landing page. For both types of surveys, you need to decide which pages you will position them on, what you will want to know from visitors, and when surveys should appear. The information you want to get from such surveys should be actionable. What you should aim for is to give users space to share their own observations and experience (i.e., leave you qualitative feedback). That’s why yes/no questions and multiple choice answers don’t work so well for such surveys. Questions that ask users about points where they experience difficulties or friction are particularly useful. These questions are great for helping you find what stopped people from converting on a particular page. Email surveys, on the other hand, are great to send out to first-time buyers or to visitors who just subscribed to your list, in the form of a welcome email. You can get plenty of good data from people who just interacted with your brand for the first time — either by converting or signing up to your email list — to get data on their experience with either of these processes. Finally, consider doing some usability testing to get live feedback on how people experience your website and where they get stuck or what they find particularly useful or powerful. 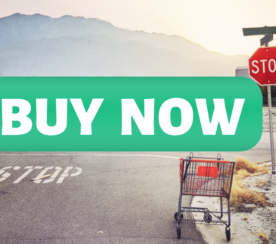 Getting traffic that converts is an essential part of your optimization efforts. But you must also make sure to direct it wisely. When analyzing your traffic, pay attention to the flow customers take through your website, and whether it isn’t getting lost at some point. For example, asking people to find their way through your website instead of providing them with offers that they can simply choose from is one type of hurdle. Or you may find that part of your potential conversions drift away because you have placed distractions close to a conversion point. 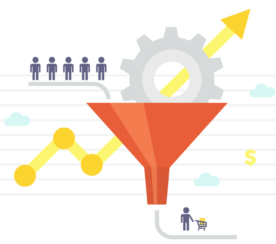 To resolve these issues and optimize conversions, you must look at your traffic funnel and spot the places where leaks occur. You then need to analyze these pages to establish which element serves as a deterrent or distraction to visitors. Doing some tests should help you establish whether you’re on the right track. Where to Start With These CRO Tactics? You don’t need to implement all of these practices to raise your conversions. Focus on the ones that make the most sense and are easiest for you to implement. Don’t multivariate test if you don’t have enough traffic. Try out something else that is more likely to succeed. Once you’ve implemented one of them, follow up to see what results it yields. Then, see which other tactic you can try out to reinforce the advances you have made. Build your efforts up in this way to get the best results. In-post Images: Screenshots by author taken May 2017. 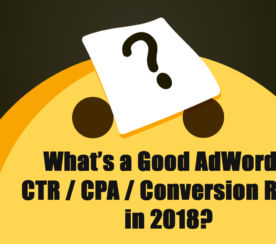 [DATA] What’s a Good AdWords CTR/CPA/Conversion Rate in 2018? 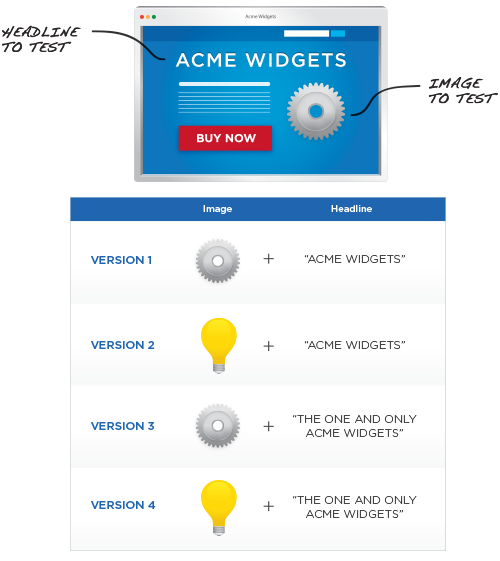 Are Dedicated Landing Pages Hurting Your Conversion Rate?